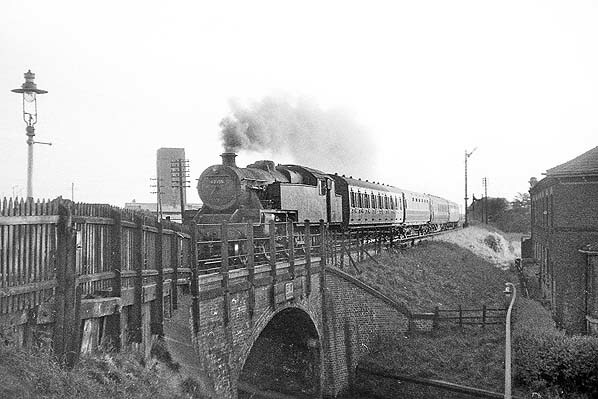 A Bolton to Rochdale service crosses the Pilsworth Road bridge on 6 July 1959. 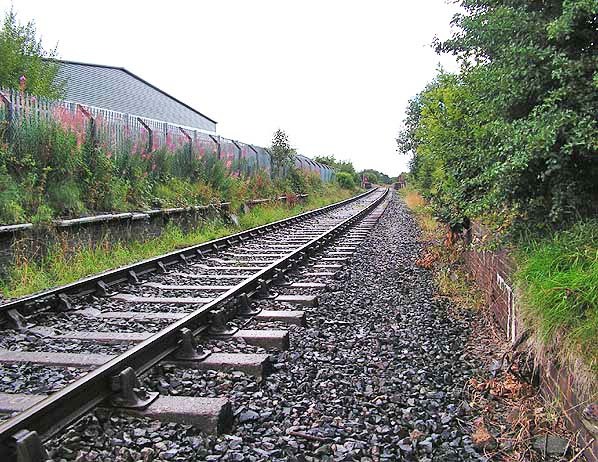 The western end of Broadfield’s up platform can be seen to the left. 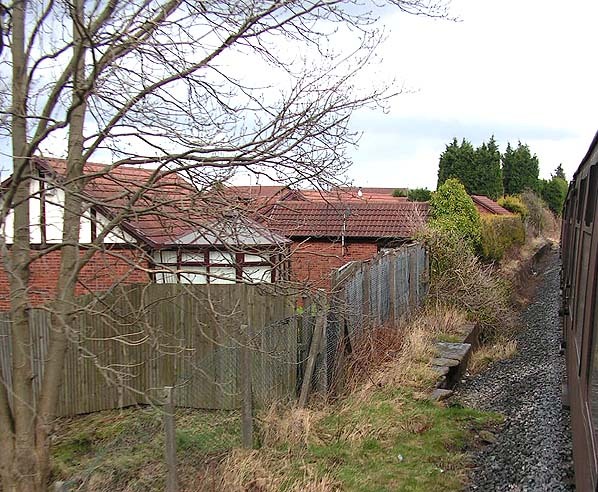 Looking east the Broadfield up platform from a passing train on 9 March 2008. The Broadfield station up platform looking east on 28 August 2010. The altered elevation of the line is clearly illustrated. 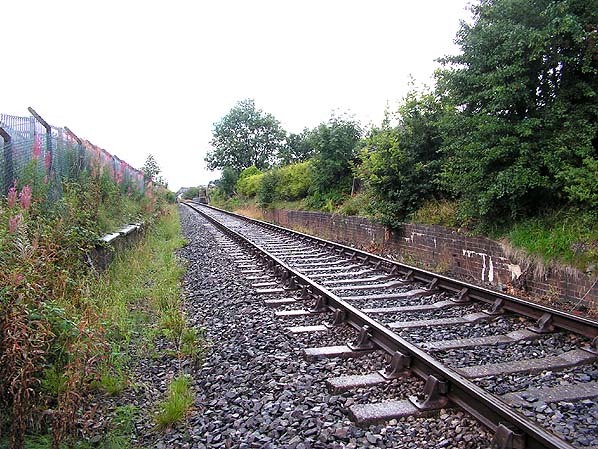 The line has to climb in order to pass over the ‘new’ Pilsworth Road bridge which provides greater clearances for road vehicles passing underneath.
. Broadfield station looking west on 28 August 2010. Both platforms can be seen. 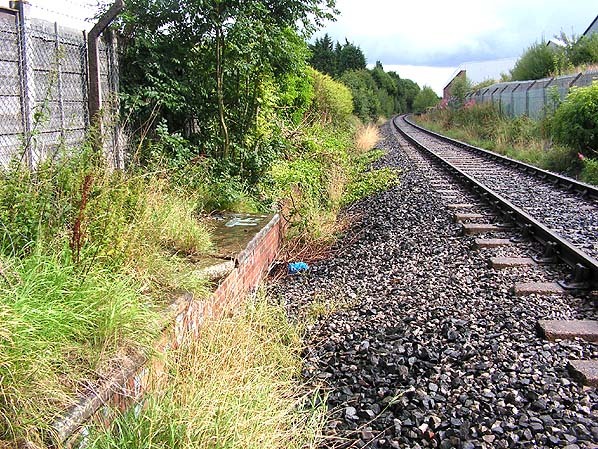 A view of Broadfield station looking west from its eastern end on 28 August 2010. 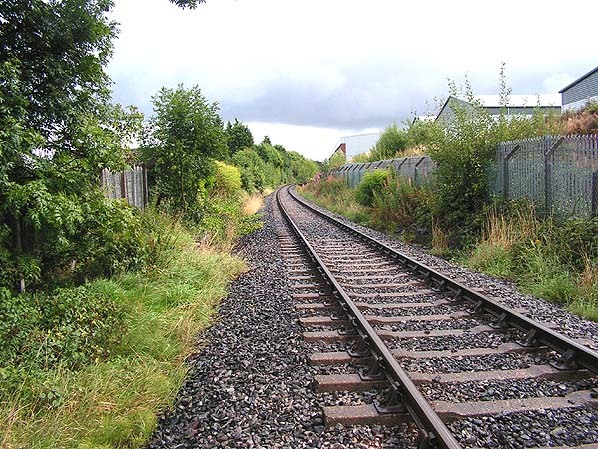 The site of Broadfield station looking east from the Pilsworth Road bridge on 28 August 2010.